Vice President, Human Resources ? IBM ? Somers, N.Y.
Patricia Lewis Burton says she always had dreams of being a writer until she found her niche in human resources. ?I enjoy working with people to acheive business results? Burton states. ?Im-proving a company?s people ultimately improves a company?s bottom line.? For more than 20 years, the human resources expert has boosted employee performance, driven organizational change and delivered profitable business results for a string of corporate giants. In her current position as vice president of human resources in IBM?s global technology services division, Burton oversees approximately 26,000 employees in the United States, Canada and Latin America. Her work force strategies saved the company millions of dollars last year. In her previous role as vice president of human resources for the company?s integrated supply chain business, she served various divisions in 60 countries. She forged partnerships with major academic institutions in the United States, India and China to promote executive education. Her innova- tive approaches to developing and mentoring supply chain leaders were featured in the industry publication Materials Handling Magazine. Earlier in her career, Burton held senior management positions in human resources, manufacturing operations and materials management at E. I. DuPont de Nemours & Co., U.S. Surgical Corp. and National Semiconductor Corp. The University of Bridgeport graduate, who put herself through school after surviving a tumultuous childhood, maintains that her impressive portfolio of accomplishments is the result of her life?s mantra: ?When the going gets tough, the tough get going.? ?It?s tackling the tough assignments that get you noticed and promoted,? she asserts. ?Tenacity?at work, as well as in life?is the key to success.? 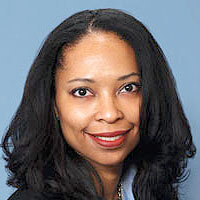 Burton serves on IBM?s multicultural women?s committee and is active in the Society for Human Resource Management and National Association of Female Executives. In her spare time, she enjoys reading, traveling and grooming her son Justin Harrison Burton for the United States presidency. She may yet pen that book she?s dreamed of writing, she says.